Ever since I was a little girl and Jack Baker decided to become a Florida restaurateur, I have been in love with corn fritters. 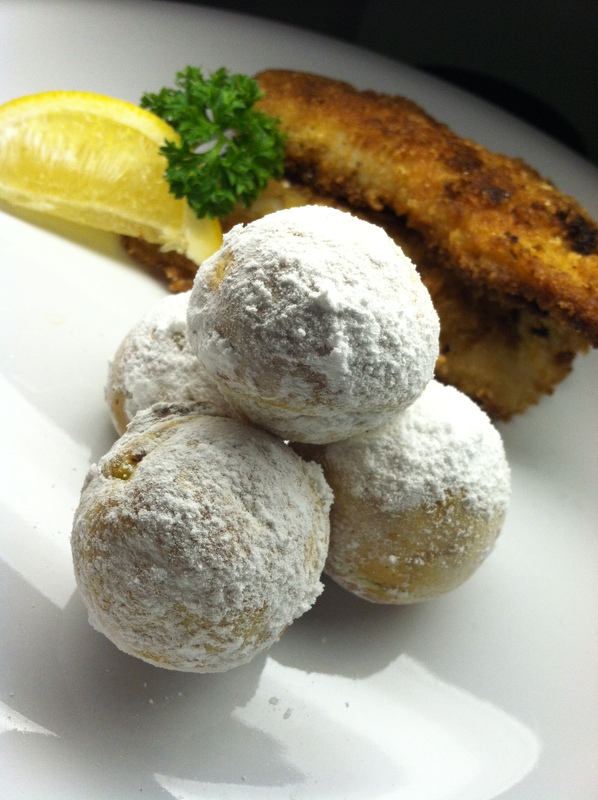 At the restaurant he opened on the Indian River in Titusville, FL, The Sandpoint Inn, patrons were served baskets of freshly fried corn fritters rolled in powdered sugar, rather than bread or rolls, to begin their meal. My grandfather’s sailboat, the Ariel, was moored in the marina that occupied the same stretch of shore along this portion of the Atlantic Intracoastal Waterway as this locally revered restaurant. Only a thirty minute drive across what I thought of as the African Serengeti, a desolate grassy and wild area of Central Florida that a curving section of the St. Johns River flowed through, dotted with clusters of palms, Titusville was where we spent a great portion of our time until my grandfather sold the boat when I was twelve years old. Long after the boat was sailed away by its new owner and my cousins and I swore we would find her one day so we could buy her back, heartbroken that she was no longer in the family, we made the trip through the gator infested swamp to the same marina to eat fresh seafood at The Sandpoint Inn and to stuff ourselves with their famous corn fritters. Without fail, as soon as our coleslaw and fried seafood platters were devoured and we couldn’t eat another fritter, my sister and I would ask our parents’ permission to go outside to the deck that overlooked the water. The view from the wooden platform was the same as the one from my grandfather’s boat the only night I slept aboard the Ariel, and the air just as pungent with the smell of salt and sea life. Like the Ariel, The Sandpoint Inn is long gone and only when I am feeling plucky do I brave visiting that small area of the Florida coast because, like the home my family members and I built with our own two hands, many of the places I knew and loved while growing up in Central Florida have changed. And now that my grandparents’ house has been sold since Grandma’s passing, seeing them just reminds me that these places are no longer mine. I know I’m not the only one. Everyone who goes home sees changes and loses places they have loved, I’m sure. But one bright little treasure that still exists for me and always makes me feel “at home” is Jack Baker’s Lobster Shanty just down down the coast from where the grand wooden structure that used to house his Sandpoint Inn stands empty and weathered. There I find those same corn fritters and all the delicacies of the sea cooked in the same manner that made The Sandpoint Inn so wonderful. The wooden boardwalk at the Lobster Shanty that takes you over trickling Koi ponds to the front door looks similar to the one at the old inn and who can resist a decorative fence made of enormous frazzled gray rope to guide you to the entrance of a seafood restaurant from a sandy parking lot, as the Lobster Shanty maintains? The view is different, not bad, just different. The tables lack the nostalgic, typical Florida seafood restaurant design that kept me enthralled throughout dinner at The Sandpoint Inn when I was a child– sea creatures, sand, coral, and shells encased in gallons of clear epoxy– and I can never again sit across the space of those tables sharing a basket of corn fritters with both of my parents at the same time since they have separated, but it is a comfort to enjoy them and pass the tradition on to my own kids and to know that, at least for now, Jack Baker’s corn fritters live on. 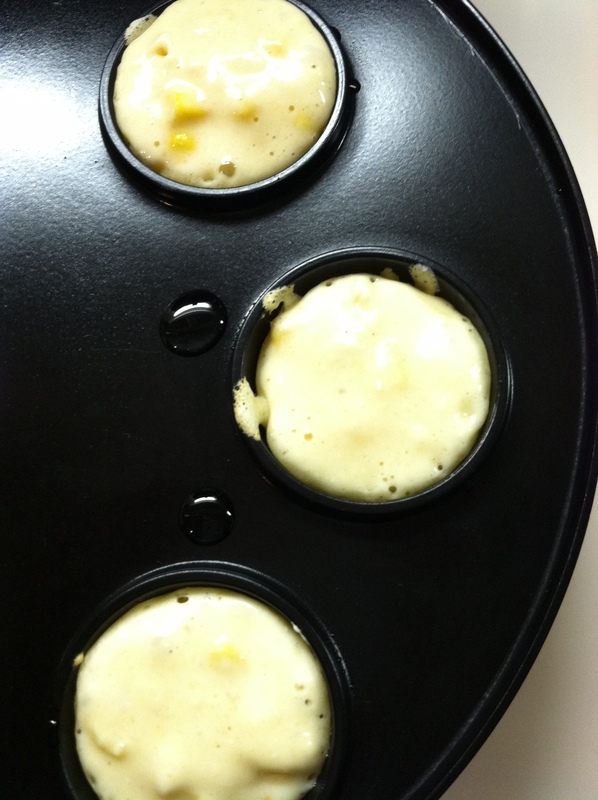 When my brother gave me this little cake pop/donut hole maker for Christmas that I’ve mentioned several times since December in my blog posts, I realized that I had found a reason to make corn fritters at home. They could not be as good as Jack Baker’s if they weren’t fried in hot oil but maybe rolled in powdered sugar we would be able to enjoy the baked, more healthy version (slightly) any time we want them with seafood made at home. I was correct. The baked version worked beautifully in the cake pop maker, the powdered sugar really tasted like home, but they lacked that fabulous crunchy outer shell from being deep fried. In all, I was very happy with the results even if the finished fritters made me more homesick than ever for, not really a place, but a time I can never go home to. Heat the cake pop/donut hole maker. 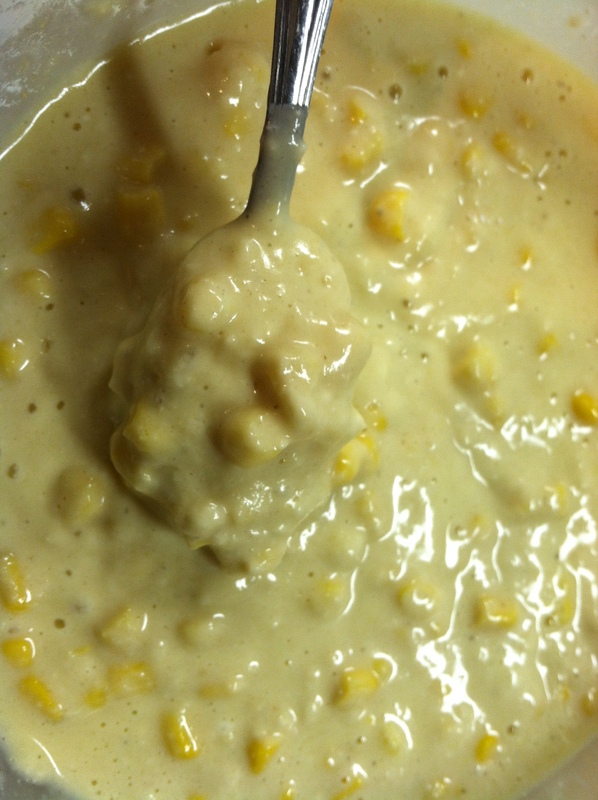 Stir the drained corn into the dry ingredients and toss to coat well. 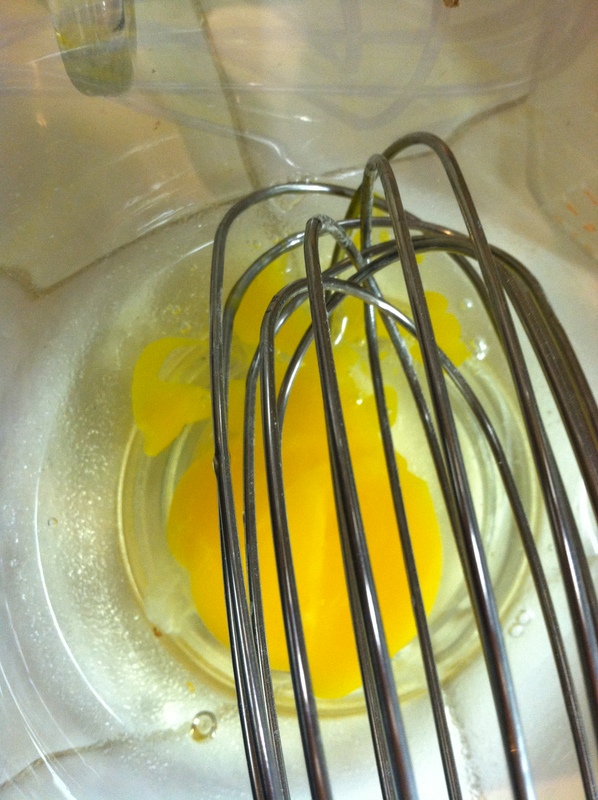 Beat together the milk, eggs, and oil. 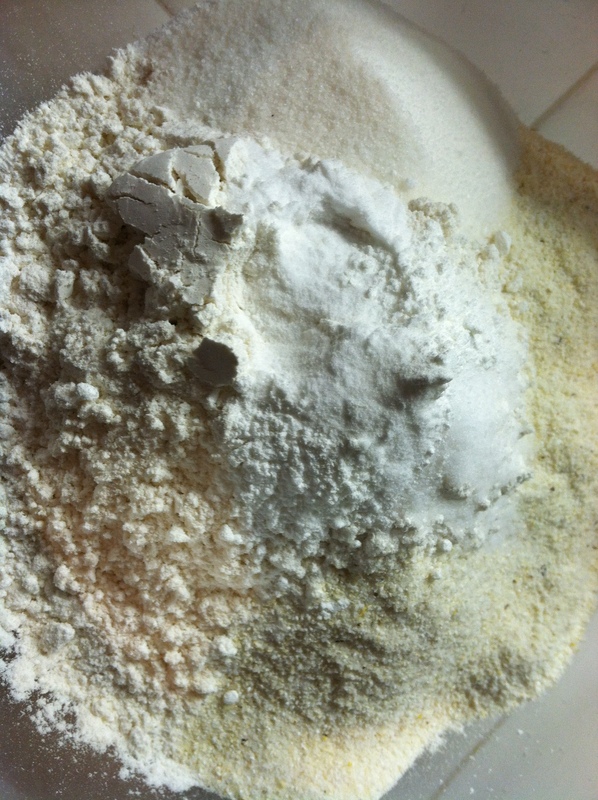 Add all of the wet ingredients to the dry at once and fold until moistened. Brush the bottom holes of the baking appliance with oil. 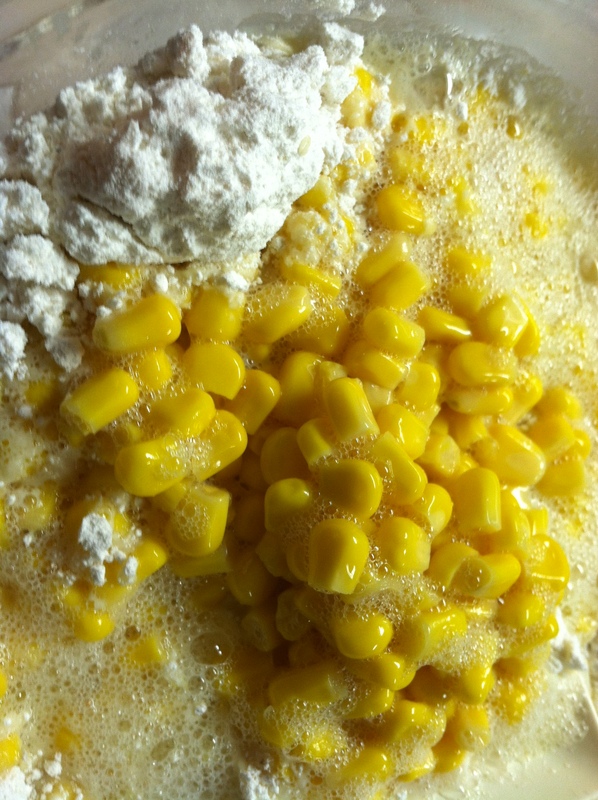 Fill most of the way and bake for 5 minutes. 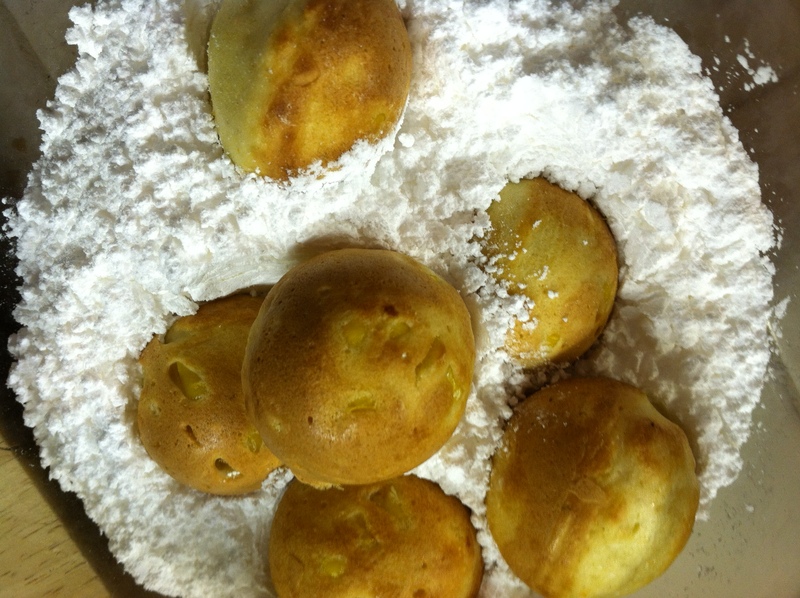 As soon as the fritters are baked roll them in confectioner’s sugar to generously coat and transfer to a serving platter, covering them with a towel to keep them hot. Wouldn’t you know it? When searching to see if there were any photos available online for this post, I found a Facebook page devoted to the old Sandpoint Inn . Just the aerial photo brought tears to my eyes. I would love to see more images but I’m kind of glad I didn’t find any. Promise me you will make these for the next mom’s night out you come too!! LOL These sound great! I don’t think I’ve ever told you this, but I love reading the stories that go along with your food! You’re a great storyteller. Thank you, Candy! That means a lot to me. Hear, hear! A brilliant story. It bought a tear to my eye. These look awesome, I’m trying them tonight!! Thank you. Hope you like them! Memories…tears in my eyes! That’s what makes life so special, there are special people who help you with your memories, things that you forgot, a different viewpoint. You have a gift for including us with your words. Things change and we move on, but we don’t ever have to forget all those precious little things! It’s amazing how tastes and aromas can jog the memory. And, incidentally, my husband is talking to NASA people right now about a job. I could be going “home”. It would shatter my heart to pieces to leave our little farm, friends, and family here in the mountains, but at least there would be my corn fritters very close by to console me.